My hometown newspaper lost its bearings this year. It got so mad at Noda Yoshihiko and the Democratic Party of Japan over the consumption tax bill that it forgot, when election time came around, to remind itself and its readers that for those who love Japan as it is, a trip to the election site for a vote for the DPJ and its candidates was the only way to avoid a reactionary regime change. However, I love my dead tree news provider for all the good news it brings me...and for its publication of the work of Sato Masaaki, this blessed land's one truly clever political cartoonist. Sato's Kohaku Uta Gassen is of a different character. Two characters actually. Instead of "Red-White" (kohaku), Sato's version is "'This Is The Way To Cough It Up' (こう吐く - ko haku) Song Battle." 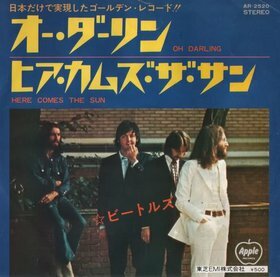 Yes, it's "Here Comes the Sun" -- the first song, side two of the Beatles' famous last recorded album...Abe Road. Shimomura, Shindo and Inada are archetypal Friends of Shinzo. They are in the cabinet because Abe Shinzo wanted them there. Each one of them is a time bomb ticking away. The PM is probably serious about a focus on the economy, the economy and the economy in the run up to the July House of Councillors election. He does, after all, want to lead the LDP to a further thumping of the Democratic Party of Japan. The appearance in English of this bit of idle banter in between brother revisionists, however, has the potential to distract him. As expected (Link) the pelagic JARPA II whaling fleet departed on Friday from ports in Hiroshima and Yamaguchi Prefectures. It was a close run thing for the whalers: Friday was the last day of regular business prior to the New Year holidays. Departing after New Years would have curtailed the hunt in the southern oceans. Furthermore, the fleet this year is supplemented by the dispatch of an additional vessel with crew and equipment meant to thwart attempts to interfere with whaling activities. The whaling fleet is also ostensibly protected by a U.S. court injunction. Issued against Sea Shepherd, the injuction prohibits the group from approaching within 500 yards of any of the whaling ships. The oddity: the injunction was issued by the granola-crunching Ninth Circuit, which holds its hearings in the famously pro-whaling bastions of Seattle, Portand, San Francisco and Pasadena. That the fleet is sailing out at all this year is a result of bad decisions by a number of political players. First is former Prime Minister Noda Yoshihiko and the leaders of the Democratic Party of Japan. In a rollback of pressure for reform of the bureaucracy, they allowed bureaucrats to compile the Third Supplementary Budget for Disaster Relief (Link) with zero political oversight. Bureaucrats from the Ministry of Agriculture, Forestry and Fisheries (MAFF) used the opportunity to create a bailout fund for the Institute of Cetacean Research (ICR), the non-profit nominally in charge of the pelagic research hunt. The Institute was deeply in debt due to declining income from whale meat sales and the costs of Sea Shepherd interference in JARPA II. Letting the bureaucrats run amok in compiling the supplementary budget did not earn Noda and the DPJ an iota of gratitude, of course. Bureaucrats continued their happy non-cooperation with (or, in their undermining of Tanaka Makiko's attempt to clamp down on abuses in the conversion of two-year schools into four-year colleges, their de facto mutiny against) the DPJ-led government until said government's Hatoyama/Ozawa/Noda-inflicted demise of two weeks ago. Second are bureaucrats from the Ministry of Land, Infrastructure, Transport and Tourism (MLIT). Under pressure from MAFF bureaucrats and politicians wishing to pander to pro-whaling voters, MLIT gave a stamp of approval to an otherwise incomprehensible half-retrofit of the whaling mothership, the Nisshin Maru. The ship is in bad shape, having suffered two major fires in the past few years, including one in Antarctic waters in 2007 that killed one of the crew. It needs a complete retrofit to be fully seaworthy. The time required for a full retrofit of the vessel, however, would have forced the cancellation of the 2012-13 hunt. Since missing even a single year would undermine the international legitimacy of the hunt (this is the way that MAFF bureaucrats think) the screws were put on MLIT to allow the ICR to cut corners on the Nisshin Maru's safety upgrade. Third, and most egregiously, is the Australian government. Canberra took an intrasigent stance in the 2010-2011 negotiations for an International Whaling Commission-controlled compromise. The plan was to balance a cutback in JARPA II in return for an expansion of Japan's whaling activities in the Northwest Pacific, probably restricting whaling to Japan's economic exclusion zone (EEZ). Even the most limited version of the compromise was projected to reduce the number of animals killed by 5,000 over a 10 year period. The actual number of animals saved by any plan would probably have been larger. A major reduction in the number of kills under the research whaling banner would have sunk JARPA II as an enterprise, resulting in a de facto if not de jure ban on the southern hunt, if not all pelagic whaling. A resumption of a commercial hunt for Minke whales in the waters around Japan would have also ended the never-halted-or-reduced hunt for Baird's Beaked whale, Pilot whale and Risso's Dolphin -- three large-bodied species Japan's small-scale coastal whalers kill precisely because they are not on the IWC's protected list. With a pro-pelagic whaling Liberal Democratic Party back in power there will be no compromises of any kind offered on JARPA II, JARPN II or anything else having to do with the plunging an explosive charge inside an animal, detonating it, and having the animal bleed to death. The whalers and their nemeses in Sea Shepherd and Greenpeace (which really should know better) burn diesel fuel and threaten each other's safety in some of the world's already most dangerous seas, sucking money out of wallets all over the globe (Do they send each other cards at Christmas time, each thanking the other for keeping the gravy train rolling one more year?). Australian and Japanese governments find themselves at loggerheads over a valence issue at the cost of greater cooperation in substantive environmental, security and economic actions. The Japanese people (most of whom, when shown the alternatives, want nothing to do with pelagic whaling) find themselves loathed around the world. Hundreds of our fellow Earth inhabitants are needlessly killed in inhumane ways. How indeed can we dance/When our Earth is turning? Do you support/not support the Second Cabinet of Abe Shinzo? The Kyodo finding of a 62% support rate is stunning, with The Asahi Shimbun result in the same neighborhood. We will have to see if later polls, when the electorate will have a better sense of just who is in the Cabinet and how radical the New Paradigm Liberal Democratic Party is, will be closer to the Kyodo or the Mainichi findings. If the 60% level holds, the Abe Cabinet will be starting out with a level of support commensurate with the best of support levels of the six Cabinets preceding it – a remarkable outcome, given the small percentage of the electorate that voted for the Liberal Democratic Party and its candidates on December 16. Just why the people support the Cabinet tells an interesting tale of salesmanship, voting strength in the Diet and voter desperation. As for party loyalties, a noticeable shift has occurred toward some of the top performers of the December 16 election. The odd persons out from the story are the Japan Restoration Party (Association) and the New Komeito. New Komeito voters hiding their true numbers is nothing new. However, the decay in the popularity of the JRP(A) is surprising. The party did, after all finish second in the party proportional section of the ballot, burying the third place Democratic Party of Japan 12.2 million votes to 9.6 million votes. The Mainichi finds support for the JRP rising – but it is as compared to a poll from a month ago, so the results may not be comparable with the Kyodo and Asahi Shimbun findings. Do you expect anything from the election of Kaieda Banri as the head of the DPJ? Do you have any expectations of the rebuilding of the DPJ? Hitori no midorigo ga, wakashitachi ni umareru. Hitori no otoko no ko, watashitachi ni ataerareru. sono na wa "fushigi na jogensha, chikara aru kami, eien no chichi, heiwa no kimi" to yobareru. Harold Abrahams - "You know, gentlemen, you yearn for victory just as I do. But achieved with the apparent effortlessness of Gods. Yours are the archaic values of the prep school playground..."
The LDP, with its coalition partner Komeito, controls 325 seats in the Lower House which is more than the two-thirds majority that is needed to overrule the Upper House. However, the ruling parties cannot fall back on this "super majority" every time they try to pass important legislation. Such a legislative practice can be seen as a sign of "arrogance" by the public and the LDP and Komeito do not want to create a public backlash against them, especially before the Upper House election next year. It is precisely for this reason that the LDP and the Komeito may seek some form of partnership with others in the parliament. The LDP will maintain its position as a dominant mainstream party by virtue of its 1/4 bedrock share of the voting electorate plus an enduring coalition with Komeito (and its 1/10 bedrock support base) that includes intimate coordination at the SMD level (making Komeito the virtual pacifist-wing of the LDP). Moreover, the coalition has a House of Representatives supermajority that must be used sparingly from a media-management perspective but will enable it to pass annual tax legislation, which, coupled with the ~FY2012, blanket deficit-bond authorization, will enable it to keep the government running without regard to the configuration of the House of Councilors. This means that if the LDP does badly in the 2013 HoC regular election, it can jettison Abe in favor of a baby face and continue in power without calling a HoR election until December 2016, when its current term ends. The outcome of the 2013 HoC election is crucial for Abe's long-term survival as prime minister, but is only a speed bump for the LDP. Were it that it were so. Were that there were a body of unwritten rules recognized by all; a compulsion to obey those rules out of a desire to be seen responsible and just; and an eagle-eyed news complex to keep one in line if one transgresses. - On March 19, 2011, eight days after the disaster of the Tohoku earthquake and tsunami and seven days since the meltdowns of the Fukushima Dai'ichi nuclear plants began, Prime Minister Naoto Kan called his Liberal Democratic Party counterpart Tanigaki Sadakazu. Kan proposed the establishment of a government of national unity with Tanigaki as the vice premier. Tanigaki spurned the offer. The LDP's attack dogs went into action on the talk shows, rubbishing Kan's offer to share power in a time of national emergency. ...except of course that Kan during his emergency visit to the plant had given the order to enter the #1 reactor building that the plant managers had been awaiting from the management of Tokyo Electric Power...and the interruption of the injection of salt water had never taken place, the heroic onsite plant director having overruled a direct TEPCO order to stop the injection. - On August 29, 2012 the LDP, angered by Prime Minister Noda's letting slip an LDP deadline for a Diet dissolution, voted for a motion of censure against the Noda government. However, due to a procedural rule, the LDP could not vote for its own motion of censure. It had to vote for a motion submitted by seven other opposition parties in the House of Councillors, including People First, the party of LDP's arch-enemy Ozawa Ichiro. The language of that censure motion condemned the raising of the consumption tax and the Triparty Agreement of the Democratic Party of Japan, the LDP and the New Komeito which had ensure the passage of the consumption tax bill. The New Komeito, seeing it impossible to vote for a censure motion that condemned its actions, walked out before the vote. The LDP contingent remained, voting against itself. - On December 15, 2012, all the major newspapers published editorials on Prime Minister Noda Yoshihiko's dissolution of the Diet. The Yomiuri Shimbun, the enemy of the DPJ, declared unwavering support for the dissolution whilst outlining in detail how the election would be illegal. 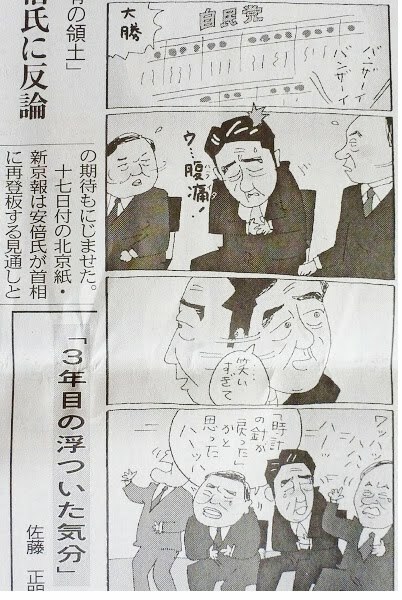 The Nihon Keizai Shimbun somehow found the illegality of the election less important than Prime Minister Noda's having missed the LDP's August 8 deadline for a dissolution. The Sankei Shimbun endorsed the dissolution without a mention of the legal and constitutional issues at all. Adhere to an unwritten rule? The news media was unwilling to demand that the Prime Minister and the House of Representatives obey the law! If there decency is to survive the incoming administration, hope must be placed in the influence of the New Komeito. Jim Malone - "He pulls a knife, you pull a gun. He sends one of yours to the hospital, you send one of his to the morgue. That's the Chicago way!" What are likely to be first victims of the Liberal Democratic Party's victory on December 16? Japan-Australia relations, Japan-New Zealand relations and a few hundred minke whales. Under pressure from pro-pelagic whaling members of the Diet, the government has had to abandon its plan to allow the industry to die from neglect. Rather than force the Nisshin Maru mothership to sit in port undergoing a much-needed retrofit throughout the length of the Antarctic summer, the government seems to have acceded to the ship's departing for the austral summer hunt having only undergone half-a-retrofit. It is not like the DPJ was helping itself by bailing out the industry. Abe could still stiff his constituents in a gesture of goodwill toward the Australian government. After all, his predecessor Noda Yoshihiko betrayed his constituents by selling out on electoral district reform, getting nothing in return. I would not count on Abe making the strategic decision, however. Yet another in what will likely be a number of "What was Noda Yoshihiko thinking?" posts. Here is the chart from The Asahi Shimbun showing the change in the government's party politics subsidies, based upon the results of the December 16 election. The Liberal Democratic Party will see its annual subsidy rise from 10.154 billion yen to 14.59 billion yen. The Democratic Party of Japan will see its subsidy fall from 16.504 billion yen to 8.558 billion yen. If Noda had held off on calling the election until the new year, the DPJ would have been eligible for the full 16 billion yen subsidy, the calculation's being based upon a party's Diet membership on January 1. Looks like another case of High Okadaism, a super-serious and ethical stance that leads to electoral catastrophe, so-named in honor of Deputy Prime Minister Okada Katsuya, whose nervously-gripping-the-steering-wheel-of-a-white-Toyota-Corolla campaign in 2005 got its doors blown off by Koizumi Jun'ichiro's red Lamborghini. Noda just could not bring himself to hold out for TWO WEEKS MORE, allowing the DPJ, whatever what might have happened to it in a 2013 election, to at least walk away with a huge bankroll for future contests. Yesterday at a press conference, the Japan Coast Guard released the below record of the incursions of Chinese constabulary forces into the territorial waters generated by the Senkaku Islands since September 14, the date when the Government of Japan completed the purchase of three of the islands from their private owner. These figures do not include the incidents of maritime law enforcement activities of the two forces inside the Exclusive Economic Zone around the Senkakus, where they have no writ. "It's a serious situation where (players) are running around the pitch even after a referee issued a red card." Now there is an explanation of disdain for the rule of law that everyone can understand. The other day I introduced the interesting reversal in trends in attitudes regarding women and work to be found in the "Survey on Social Participation of Men and Women" (Danjo kyodo sanka shakai in kan suru yoron chosa) released on December 17. For the benefit of those who were unable to find the graphs in question, I reproduce them below, with links to the original pages. "The husband should be outside working; the wife should keep house"
"It is all right for women to continue working, even after they have children"
In both cases, we see the onset of a wave of young fogies, where youngsters in the 20-to-29 years of age cohort have attitudes toward the roles of women, marriage and childrearing resembling those of persons 60 years of age and older, rather than their immediate superiors. This is a new phenomenon. In previous surveys the youngest cohort has been among the most comfortable with wives working or women staying in the workforce. Why the sudden reversal? The survey does not ask the respondents why they feel the way they do. I called the cohort the "echo boomers" -- the counterpart of the children of the baby boomers found in population pyramids for the United States. It would probably be better to call the current cohort of 20-to-29 year olds the Bubble Babies -- those born when Japan's rise in GDP and climb up the per capita income ladder were topping out, when families could live comfortably on but a single salary. The 20-29 age cohort is struggling. In part this is because of the depressed economy, which has reduced the capacity and willingness of companies to hire large numbers of permanent workers. The youngest cohort may also be struggling due to a lack of education. Today's 20-29 year olds are the first age cohort is to have all its members educated under yutori kyoiku ("easy-going education") system. The lowering of academic requirements and the decrease in the number of class hours may have left this cohort far less prepared for independent life than the cohorts that preceded it. An aside - the yutori kyoiku reforms were repealed for elementary school children starting in 2002. The last children educated under the loosened system will graduate from high school in 2014. So when you find "strengthening the education system" in a political party's manifesto, the party in question is not really talking about improving education. That train left the station long ago. "Improving education" is a smokescreen for foisting more patriotism and officially traditional mores upon children and breaking the backs of teachers' unions. President-elect Park Geun-hye celebrating her victory in the South Korean presidential election. 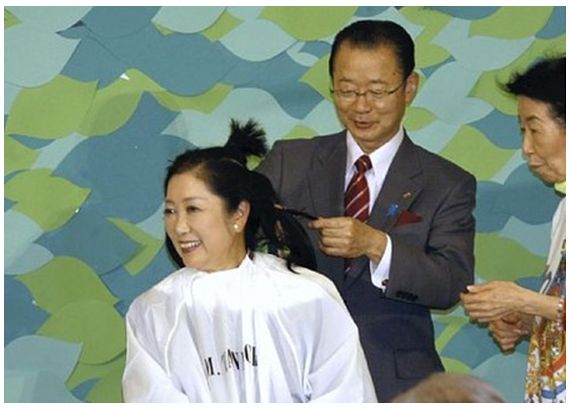 Former Defense Minister Koike Yuriko at an unserious danpatsu event. Koike had sworn she would not cut her hair until the Liberal Democratic Party had retaken power. Yesterday she let 64 friends and supporters take a snippet from her uncharacteristically shoulder-length locks. The advent of an LDP government is predicted to lead to one improvement in the atmospherics of government: women in prominent cabinet roles. Whereas the purportedly liberal Democratic Party had only token appointments of women--prime minister Kan Naoto's and prime minister Noda Yoshihiko's cabinets having but a single woman in them -- the incoming Abe Shinzo cabinet may have as many as five women members. Koike Yuriko and Takaichi Sanae (one of the rare women to have graduated from the Matsushita Institute of Government and Management) are almost certain to be named to prominent posts. 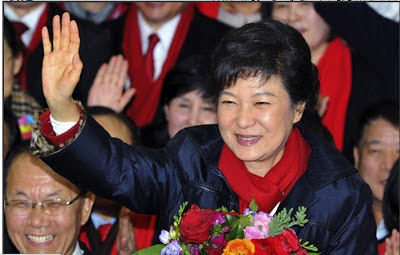 Conservative parties -- the pathways to power for women in East Asia. The other day I offered the proposition that Diet dissolution of November 16 had no common name. Historically dissolutions have common names, identifiers of the political crisis that had triggered the dissolution. The most entertaining is probably the Bakayaro Dissolution of 1953, when Prime Minister Shigeru Yoshida was forced to call an election after shouting "You moron" (bakayaro)) at an opposition lawmaker. Others have been more substantive, such as the Consumption Tax Dissolution of 1990 and the Post Office Reform (Yusei) Dissolution of 2005. Election 2012 seems to lack a moniker, though. Wikipedia suggests (Link) that it should be called the Soon Dissolution, in reference to Prime Minister Noda Yoshihiko's promise to Tanigaki Sadakazu on August 8 to hold an election "soon" (chikai uchi ni). However, none of the protagonists seem to have made frequent use of that expression during the campaign. "It was a dissolution of a Prime Minister who felt pressed to quit. It's the 'Suicide Terrorist Bomber Dissolution' (jibaku tero kaisan) I thought to myself. And so it became." Tanaka Makiko: a sassy, brassy but perhaps not quite classy lady. She is not even technically correct. A suicide bomber targets enemies or innocents. The persons worst affected by Noda's dissolution were neither. Hey, Hey, Do That Yasukuni Thing! Ho, ho. Ha, ha. That journalist. What a joker! More seriously, it is not a good sign that Abe is prevaricating on Yasukuni. He laid his marker down on this issue during the campaign. He has a supermajority in the House of Representatives, meaning he does not have to give a rat's behind as to what happens in the House of Councillors election in July. If he thinks he can play the delay and obfuscate game until after the House of Councillors election, he will find the Japan Restoration Association, the Democratic Party of Japan and the public gang-tackling him. In the weekly The Tokyo Diplomat (subscription service) Michael Penn points out that fretting over Abe Shinzo's provocative foreign policy and economic prescriptions ignores the other elephant in the room: the return or accession to the Diet, via the protest and regional pride vote for the Japan Restoration Association, of a coterie of radical revisionists too hard line for even for the Liberal Democratic Party. Add to the above the Democratic Party of Japan's Matsubara Jin, returned to the Diet via his double listing on the proportional list and a close second-place finish to Ishihara's "other son" Hirotaka (What the blazes is going on in Tokyo District #3?) and you have as fine a bag of nuts as can be acquired at Yuletide. Once the presidential contest in South Korea ends, the South Korean news media will turn their gaze upon the incoming Diet. Herr Morén, your fear has already been realized. Panel 1: LDP election headquarters, "Huge Victory" -- shouts of "Banzai! Banzai!" Panel 2: LDP president Abe Shinzo, in between Secretary General Ishiba Shigeru and Executive Acting Secretary-General Suga Yoshihide, doubling over, "Oh, my belly it...it hurts..."
Panel 3: Abe, grinning and swinging from one to the other, "..from LAUGHING TOO HARD!" Panel 4: Amid gales of laughter from all, Ishiba, "I thought, 'Have we turned back the clock?' for a second there!" 3) he left the Prime Minister's Residence two days later in the back seat of a Special Police car, unaccompanied by a doctor or his wife, the two car motorcade barreling through Nagata-cho to a closed wing of Keio University Hospital, without a transfer of executive power to another member of the Cabinet. Yep, makes me laugh. Ha. Ha. How badly did the Democratic Party of Japan debase its brand? Nationally, the party did not even manage to win 10 million votes. Interestingly, the New Komeito total declined in between 2009 and 2012 in line with the decline in voter participation rates for all voters, from 8,054,007 in 2009 to the above figure, a decrease of 11.64%. If the stereotypical image of NK voters were true, that should not have happened. The New York Times has just published an essay blissful in its lack of context or statistical rigor (Link). It seems rural Japan is getting depopulated, young persons are leaving for the cities and the median age is getting perilously high. As is the case in North Dakota. As it is in rural just about everywhere in the industrialized world. And not a few countries of the not-so-industrial world too. As for the childcare availability problem mentioned which is somehow depressing fertility, the government has been making headway on this problem every year, cutting down the number of children on waiting lists for public day care centers despite massive year-on-year increases in demand (Link). The government's buildout is indeed hammering private daycare providers. In the TMD, the move by private railways, with their huge landholdings, into the daycare business likely to drive the last of the small independent providers out of business. The interplay in between attitudes and reality regarding women, childbearing and work is complicated, and growing more so, rather than less. The Cabinet Office's roughly triennial "Survey on Social Participation of Men and Women" (Danjo kyodo sanka shakai in kan suru yoron chosa) released today finds a major reversal in the long-term trend as regards the statement, "The husband should be out working; the wife should taking care of the home." From 1992, the year of the first of these surveys, to 2009, the percentage of respondents agreeing with that statement declined with every survey. However, in the 2012 survey, the percentage of respondent agreeing with the statement jumped -- up to a level not seen in 15 years (Link - J). Amaterasu bless you, you children of the 1960s. The denial of economic reality by the youngest age cohort is repeated in the responses to the statement "It is all right for women to continue working even if they have children." In between 2009 and 2012, the percentage of respondents in the 20-29 age cohorts agreeing with the statement fell from 46.4% to 39.1%, even as the figures for all cohorts moved in the opposite direction (45.9% in 2009 and 47.5% in 2012). Looks like the echo boomers are a little bit spoiled. Suffice it to say that it is harder to wake up if you keep your eyes closed. December, with Christmas and its end-of-the-year parties, is a time when people say nice things, if insincerely sometimes. Why should we have expected anything else this December? Contrast the above sardonic ennui with the below steely belief in carrying out one's duty in representative democracy. Elections really are the worst way to establish a government, except for all the others. The key takeaway: the LDP received a smaller percentage of the proportional vote in winning in 2012 than it received in getting wiped out in 2009. You read that correctly -- not a smaller number of votes, a smaller percentage of the vote. Note to Abe Shinzo: 28% is not a mandate. Later - The commenters nitpick -- AND FOR GOOD REASON. The seat totals in the House of Representatives, as confirmed by national broadcaster NHK at 5:04 a.m.
- The OIDIA and NS have a supermajority of 325 seats. They can ignore the House of Councillors in all matters except appointments. This is a great gift; it is also a great burden. Given the power to deliver on domestic and international promises, the alliance has to produce results. - 10 million voters who had participated in the last two House of Representatives elections stayed away from the polls this time. The result was the lowest voter turnout for a general election in the postwar era. Let us remember that the electoral system is designed to deliver victory to the Liberal Democratic Party even if the LDP is massively unpopular. We should not be surprised if it does. So go out there and surprise us, people. I have expressed exasperation at the writings of Hannah Beech* of TIME magazine. As a journalist whose beat is not Japan, she has had a habit of overstating her case , chasing after mirages and crashing into mirrors whenever she casts her gaze upon this blessed land. Last year's triple disaster of earthquake, tsunami and nuclear crisis was supposed to shake the country out of its paralyzing placidity. But little has happened since besides a flurry of civil-society activity and some well-attended antinuclear protests. If the Japanese seem uniformly passionate about anything, it's antipathy toward a rising neighbor to the west. More than 80% of Japanese say they harbor unfriendly sentiments about China, up nearly 10% from last year, according to a survey by Japan’s Cabinet Office. "Ten years ago, I was considered an ultra-nationalist," says Yoshiko Sakurai, a former TV anchor who has written books with titles like he Determination to Stand Up to China. 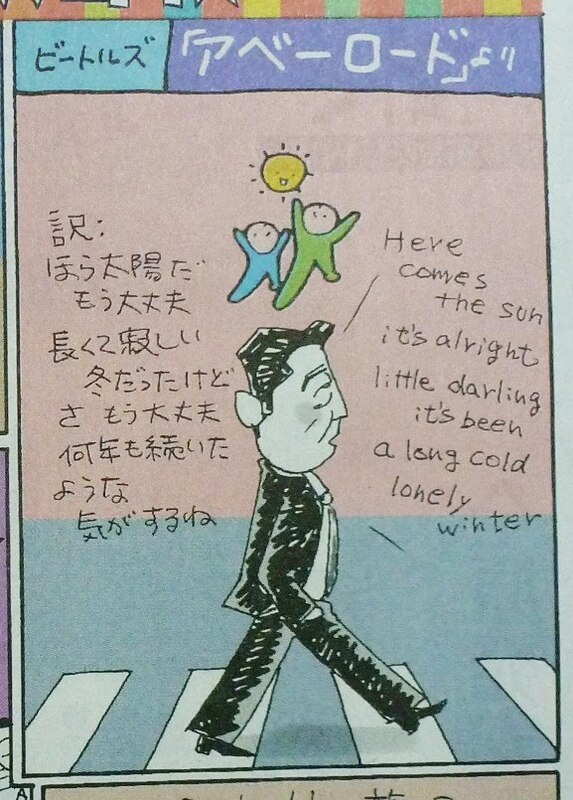 "But now these are ordinary thoughts in Japan." Now this number is a favorite of journalists, both domestic and non-Japanese. However, is the quotation accurate? The Cabinet Office's annual Survey on Foreign Relations (Gaiko ni kan suru yoronchosa) is a treasure trove of data points for any journalist, polemicist or annoying blogger. As a long-term time series, it provides a foundation for any argument about major shifts in public attitudes. 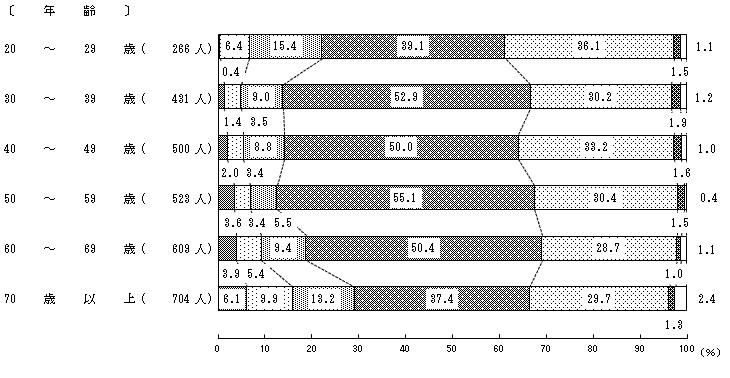 The combination of the last two figures are what produces the aforementioned 80%. 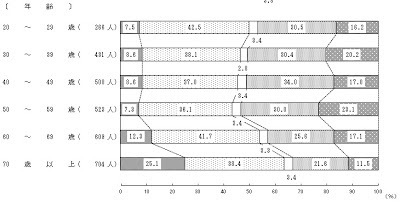 Though the spectrum of Japanese emotions and the ability of Japanese to express emotions are idiosyncratic, can one really equate a lack of a feeling of closeness with antipathy -- except in the most philological of interpretations? When 93% of respondents do not think the relationship is going well, they are 1) informed as regards the current state of the relationship and 2) ready for changes in international behavior. First, note the lack of dramatic year-on-year shifts. Either the Cabinet Office is asking the same folks for their opinions year after year, or views of Japan's role in international affairs are shared by a broad swath of the populace with stability in perceptions over the near- and medium-term. Second, note the support for Japan taking an active, expansive role in making the world a more peaceful and more humane place. Third, note the low numbers for cooperation in the spread of democracy and human right or of international advancement in science and technology. Not great news for those who want Japan as an ally in a values-based diplomacy or those wanting to portray Japan as a nation of tech enthusiasts. Fourth, imagine running the above list past a random selection of citizens of the United States. Yes, I am laughing too. * No tittering about her thumbnail image (Link). We all try to put our best foot forward. Look at my thumbnail, for Amaterasu's sake. ** This should probably be "I have no opinion either way" rather than "Don't know." A person who does not know his or her own feelings is pitiable. Who will you vote for in the proportional seat vote? Who is more appropriate as prime minister, Abe Shinzo or Noda Yoshihiko? Cheesily or cheekily, Kyodo is playing around with newshounds, releasing its polling results only in disparate bites. The news service is predicting that the LDP and the New Komeito will win enough seats for a supermajority in the House of Representatives. However, Kyodo has offered no hint as to its methodology or its assumptions in its calculations. What are we to make of the lack of releases of the Don't Know numbers for the party votes or the "neither of them" number for the two front runners in the non-existent popular vote for the prime minister? What we can say is that more voters have made their decisions as to candidates and parties. Funny how the numbers for the top three parties account for only 3 points of the purported 10 point drop in the number of undecided. Give us all the numbers Kyodo! * The party name translates as "Japan Restoration Association." However, the convention has become to call it the Japan Restoration Party, possibly to avoid confusion with the Japan Racing Association. Notes in preparation for a conference panel appearance discussing the December 16 election, now just three days away. There is a chance for a dramatic improvement of government control over policy and events. The Mainichi Shimbun and JNN are predicting that the LDP and its ally are on course to win over 320 seats. If the two allies do surpass the 320 mark, they can on their own override any decision or inaction on the part of the House of Councillors (except for appointments, which require the agreement of both Houses). If the alliance partners do not reach 320 seats on their own, they will still have a choice of coalition partners, either a seriously diminished Democratic Party of Japan under new management (Noda will have to resign his post) or the upstart Japan Restoration Party. However, the projections are dependent on public opinion polls that still show large segments of the voters undecided. In the case of the Mainichi/JNN projections, they are based on the December 4-5 Kyodo poll, now 10 days old (a lifetime in this election cycle) where the 48% of voters had not yet decided on a political party for which they would be casting their ballot and 56% had not decided on their favorite district candidate. Late breaking votes, if the undecided show up (the advance polls on likely voter participation rates are not encouraging), could salvage some degreee of dignity for the DPJ and its candidates. Fear of an out-of-control Abe Shinzo premiership is high. Projected next prime minister Abe Shinzo is desperate to erase the memory of his failed 2006-7 premiership. In order to avoid a repetition of the 2007 debacle Abe has to make changes. But which month in 2007 will he take his lesson from? From July, when the voters delivered a stunning rebuke to his policy program, snatching control of the House of Councillors from LDP hands, creating the "twisted Diet"? Or from August 2007, when his health and his grip on events spiraled downward from trying to be what he was not? He had played the pragmatist, visiting China in his first overseas visit after becoming prime minister, avoiding his annual pilgrimages to Yasukuni – and hated every second of it. From Abe's campaign rhetoric and his expression of regret at not visiting Yasukuni, we must assume that the lesson of choice is the latter one. If so, we have an ugly, unpleasant winter ahead of us. While the DPJ's fall from power represents a victory for the government bureaucrats-- who sought to kneecap the new government at every turn (see what they did to MEXT minister Tanaka Makiko after she swore she would not approve any conversions of schools into colleges unless quality controls were implemented)-- the victory is only a temporary respite. The long-term outlook for the bureaucrats is poor. Mismanagement of the economy has undermined their carefully cultivated image of brilliance. The decline of tax revenues has limited their ability to reward their allies or recruit new followers in sufficient numbers to guarantee their continued dominance (Link) Their pursuit of amakudari positions and their retirement bonuses have earned the scorn of the citizens, who are the ultimate paymasters for everything. The left-right duality and continuum may be useful for analyses of European politics. However, the left-right divide probably obscures more than illuminates Japanese politics. The political parties, if they are lined up, are Right – Right - Center Right and Center Left, with a tiny left fringe—which to an outsider would look incredibly unbalanced rightist political environment. It is probably better to graph at the Japanese political realm on grid than on a single line. 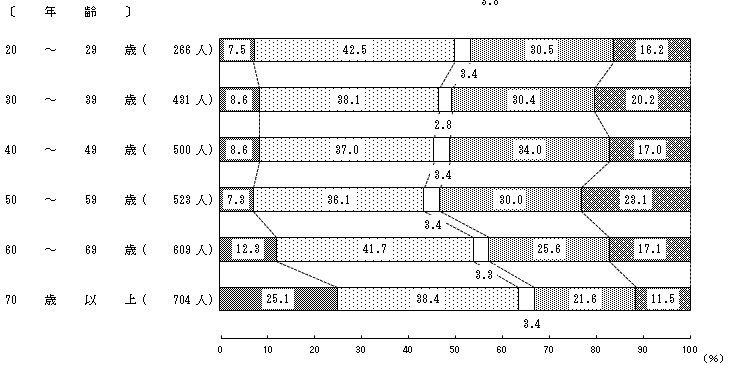 If the vertical axis is Rational vs. Emotional and the horizontal is Credible vs. Incredible (or Viable vs. Not Viable) then the parties and individual politicians are probably more evenly spread out. Furthermore, the "rightward shift" is not a significant element in domestic political discourse. South Koreans and Chinese are pointing at Japanese domestic politics screaming, "Rightward shift! Rightward shift!" in order to advance their own agendas. However, in historical terms, the current election looks a lot like the Kaku-Fuku War entering its fifth decade of existence. This is a long-term oscillation in Japanese politics, in between two family lineages, here pitting the anti-mainstream authoritarian bureaucratic Fukuda-Mori-Machimura faction and its firebrand current champion Abe Shinzo against the mainstream, round-shouldered populist DPJ (where the Tanakas are) and Tomorrow parties, where lurks, behind the façade of Kada Yuriko, Tanaka Kakuei's greatest disciple Ozawa Ichiro. Lineage capture of institutions and multi-generation lineage warfare are fundamental elements of Japanese civilization. "Left-Right"? Not so much. This is a historic election – but in only negative terms. First, Noda's offer of dissolution came out of the blue and burdened with the opposition of important members of the party directorate. These ignored DPJ leaders are looking forward to seizing control of the party from out of the hands of Noda and his allies after the projected debacle of December 16. So certain seems a wipeout that more than a few analysts see failure as not a bug but a feature of the dissolution – that Noda has sought to purify the DPJ (Link) in preparation for a coalition government or a merger of the surviving rump with the LDP. Second, this election is historic in that the politicians of Japan have never shown as much contempt for the electorate as this current crop of hopefuls. The message the politicians are sending to the voters? "You know, we think you are stupid." Three Cheers For the North Koreans! - By firing off its rocket when the Chinese specifically told it not to the Kim regime has humilated the new Chinese leadership lineup. Suffice it to say that the Chinese government may not be too solicitous of the mewling of its cat's paw on the Korean peninsula. - By successfully testing a multi-stage, long-range rocket, a prototype for a nuclear-tipped ICBM (if the North Koreans can develop a small enough nuclear warhead), the DPRK has put the United States in the same boat as its South Korean and Japanese allies. North Korean artillery threatens South Korea with massive loss of life and destruction of its capital. North Korea's well-tested Nodong missiles threaten Japanese cities with similar damage. Now U.S. cities are targetable. Until yesterday, there was ambiguity over whether or not basing large numbers of U.S. forces in the theater made tactical sense. Now it does not matter where U.S. East Asian rapid reaction forces are based: the DPRK can now hit them. - By thumbing its nose at its ostensible master, the DPRK has exposed the fallacy of China's growing ability to cow countries in the region. If any regime should jump when Beijing says, "Jump!" it is neophyte Kim Jong-eun's. This has been a lousy year for the CCP-enabling and ally-betraying Sino-centric world order crowd. The DPRK is disobedient; Myanmar has gone off its own sweet way; and Cambodia's clumsy service as China's lapdog has reminded ASEAN of its origins in fighting the influence of China in Southeast Asia. Take that, Hugh White (Link) and the "over most of human history China has been a benign hegemon" flunkies! So raise a glass (of orange juice) or a mug (of coffee) to the North Koreans today. The launch of their big birthday celebration rocket is a shot for liberty. The Mainichi Shimbun and TBS are holding fast to their predictions of last week and the 10th that the Liberal Democratic Party en route to winning a stunning victory in Sunday's election. Based on data from the December 4—5 Kyodo poll and telephone polls conducted by the Mainichi Shimbun's local bureaux, the media outlets are projecting the LDP will capture 300 seats. Note that the figures predict that the LDP and the New Komeito will capture 330 seats, giving the two parties a supermajority in the House of Representatives. A supermajority would give an LDP-led coalition government the power to pass any legislation, overriding the decisions or inaction of the House of Councillors. The only government activity still held up by the "twisted" state of the Diet would be major appointments, such as the selection of a replacement for Bank of Japan Governor Shirakawa Masaaki. The methodology used to generate these numbers is most likely not unsound, taking into account historical patterns of voting, the current plurality the LDP has in the public opinion polls, head-to-head competition in between DPJ candidates and candidates of the breakaway Tomorrow Party and an expected low level of voter turnout. NHK's most recent poll finds 63% of respondents saying they will definitely vote, a 7 point drop from the equivalent figure in 2009. (Link – J). Nevertheless there is a problem: a lack of a clear move toward the LDP in the opinion polls. Given the LDP’s lead and the supposed disgust the electorate feels toward the feckless rule of the DPJ, we should be seeing a shift toward the LDP in the national polls as voting day approaches. However, as the post of yesterday indicated, polls are not showing any sustained momentum toward the LDP – even if one extends the timeline back to June, immediately prior to Ozawa Ichiro's departure from the DPJ (Link). Where is the kuki of kuki ga yomenai (a.k.a. "KY"), the zeitgeist which would encourage the undecided to hop aboard the LDP's bandwagon? Adding to the mystery was last night’s report last night on NHK News 9 program on the prime minister's campaigning all around the country on behalf of DPJ candidates. The reporting was so soft and glowing, with the prime minister almost always shown smiling, that the result was close to an illegal campaign advertisement. Does NHK know something we do not know? Or was the network trying to cover its tail after spending the last few weeks handling LDP president Abe Shinzo with kid gloves? Does NHK want to say to the DPJ on December 17, "Hey, it wasn't us that sank your campaign..."? As the national broadcaster, NHK has an incentive to be hypersensitive to changes in the political winds. As an organization, it is paranoid about Abe Shinzo. He and his fellow travelers have a history of interfering in NHK editorial independence. During the Abe administration, NHK indeed became AIN, the "Abductee Information Network," cramming in programming about the Japanese abducted by DPRK operatives during the 1970s where it had no business being. So last night's broadcast was either a harbinger or an "Asta la vista, baby." Public opinion polls find reduced enthusiasm for voting..and around half of the voters undecided as to whom they want as their representatives...and fewer voters are taking advantage of early voting. I wonder how those three facts fit together. Sorry for not pointing this essay out earlier. The Wall Street Journal has published a pair of articles on Tokyo Metropolitan District gubernatorial candidate Inose Naoki. We tried putonghua (and many thanks to those who wrote me with translations). Men på den anden side drog Abe nogle specielle erfaringer af sin mildest talt middelmådige periode ved magten. Det siger Michael Cucek, en samfundsforsker tilknyttet Massachusetts Institute of Technology, men med base i Tokyo. »Sidste gang han var premierminister, arbejdede han hårdt på at slippe af med sit image som en højrefløjsfanatiker. Kina var det første land, han besøgte som regeringsleder. Desværre var den lære, han drog af sit personlige nederlag dengang, at han ikke igen kunne være så kompromissøgende. Han måtte være sig selv fremover. Og hvis det passer, er det ikke så godt,« siger han. Unfortunately the article seems to have been stored in a subscription archive. My only gripe: Why can't I write like this? A new, probably final set of polls are out, indicating that after 3 weeks of gadding about in the hinterlands and in the big cities, the political situation is just about where it was when this whole rigmarole started. Yep, six months on, and we have gotten exactly nowhere. - While the parties are full of ideas regarding stimulating the economy out of recession and stagnation, most of them unorthodox, one hears little about stabilization of the pension system. Too hard to tackle? - What explains the eternal presence of the popularity of administrative reform (gyosei kaikaku) in the top five? Resentment of local government public servants leaving their offices at 5:05 pm every day, receiving their huge retirement bonuses and government-guaranteed pensions, all from out of the pockets of the tax payers? - Looking at the last two numbers, can we put to rest the just-so stories of the election's being in part a referendum on the DPJ's response to the Tohoku disaster and Japan's turning right in response to a growing sense of Japan's security being threatened from all sides? The basic strategy of the DPJ is sound--let the electorate take a tour of the policy prescriptions and personalities of the other parties. In comparison, the DPJ seems an island of sanity. However, it seems the voters have a deep mistrust/dislike of the prime minister. Between Noda and LDP president Abe Shinzo, which is the appropriate person to be prime minister? The above indicates we have the basis for a deal here. If the good citizens of Chiba District #4 can promise the rest of the country they will unseat Noda, the rest of the country can vote for the DPJ candidates and for the DPJ in the proportional bloc elections, secure in the knowledge they would not be empowering the DPJ's duplicitous Undear Leader. 2) have to be passed by the existing dysfunctional, self-serving Diet. Considering that the majority party in the incipient, intensely unpopular House of Representatives will owe its majority to the current system, the likelihood of that party championing a reform of that system is nil. There is an easier way to fix the system, one that would avoid any monkeying around with the mechanics and require no legislation. If the current system cannot accommodate a number of mutually antagonistic parties, then dump the antagonism. "Our manifesto contains the list of items we believe in. However, our government and social systems are based on compromise. We will therefore work with any party as long the overall policy framework is sound." The image strategy of the Democratic Party of Japan hews closest to that of this model party. However, the DPJ clings to the convention of emphasizing the differences between itself and its main rivals, blasting them with a hailstorm of derision. "Vote for the DPJ, the moderate and compassionate party--because you don't want to vote for any of those idiot loser parties we despise." Later - It should be noted that at the November 30 joint appearance of the party leaders at the National Press Club, when the leaders were asked to write down on their pieces of posterboard the party they would be willing to ally with after the election, DPJ Leader Noda Yoshihiko did write, after "#1 - the Peoples New Party" two more slots, each followed by a question mark --indicating that the DPJ was open to working with parties other than its electoral ally. 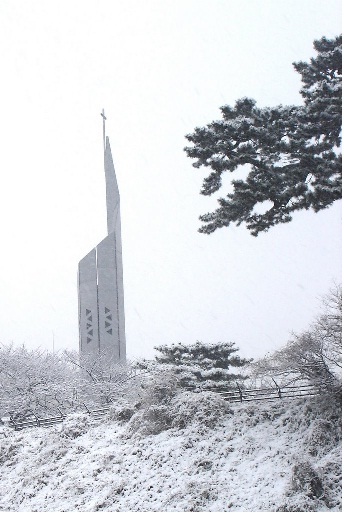 The news today has reports that the DPRK rocket test has been postponed (Link). This makes last week's hysterical full deployment of the Self Defense Forces anti-missile capacity (Link) a very nice, robust rehearsal for an actual crisis. There were important technical arguments for the DPRK scientists not attempting to launch a large, liquid fuel rocket from an outdoor pad in mid-December. Q: The DPRK has completed the installation of its rocket and is likely to launch a satellite next week. What is China's comment? A: The Chinese side has made clear its position several times on the DPRK's plan to launch a satellite. As a sovereign country, the DPRK has the right of peaceful use of the outer space. However, given the situation on the Korean Peninsula and the restrictions of relevant UN Security Council resolutions, the Chinese side hopes that the DPRK could act prudently with the larger interests of peace and stability on the Korean Peninsula in mind. We also hope that other parties to the Six-Party Talks can take a long-term and calm approach and avoid taking actions that may further escalate the situation. "We maintain that the DPRK has the sovereign right to shoot off rockets until, of course, it should ever try to exercise that right. As for you other participants in the Six-Party talks, you owe us for this, big time." I hope that despite the election-enervated state of this blessed land, the Ministry of Foreign Affairs sends the Chinese Embassy a nice bouquet, a big box of Belgian chocolates or a culturally sensitive equivalent. As for how this turn of developments will play out on the campaign trail, I do not think it likely that either Liberal Democratic Party president Abe Shinzo, Japan Restoration Association leader Ishihara Shintaro or Democratic Party of Japan leader Noda Yoshihiko will be yelling, "Hey! Thank you, China!" to the crowds. I do not think the PRC government expects them to do so either. A hat tip to Chris Nelson for pointing out the relevant passage in Hong Lei's press conference. The mountains are high; the emperor is far away. Looking up the origins of the above proverb, I learn that it has a bleaker twin: "Heaven is high; the emperor is far away" – i.e., the sources of moral order are nowhere near, so you are at the mercy of the local authority. The Bunraku puppet theater of Osaka is in residence in Tokyo until December 16, performing at the National Theater. The program is one of education, introducing the art form to adults. It starts with a kyogen adaptation, followed by a pair of brief explanatory lectures by representatives of three principal classes of performers, and then a long (one hour) tragedy. Although the bunraku is one of the treasures of Japanese art and culture, the it has fallen on hard times. Audiences and private patronage are dwindling. Its stars, being less than one and a half meters tall and made of wood, have a hard time moonlighting in modern theater, television and cinema, as kabuki performers are able to do. Part of the reason behind the decline is that the bunraku is based in Osaka. Once a rival center of influence and affluence to Edo/Tokyo (the country's major news media groups have their origins in Osaka, for example), Osaka is now a decidedly second tier city, beloved of its citizens but otherwise seen as scruffy, unattractive and in chronic economic decline. For any classical art form to survive in Osaka would be difficult. For one as labor intensive as the bunraku, survival depends on the government subsidies. Enter Hashimoto Toru, the boisterous and impatient mayor of Osaka and true leader of the Japan Restoration Association (Link). A crusader against waste and featherbedding in his hometown, Hashimoto has taken the axe to expenditures and Osaka-style governance to the cheers of an exhausted Osaka citizenry. Among the targets of his axe have been Osaka City subsidies of the bunraku. Hashimoto has argued that the citizens of the city should not be forced to provide financial support an activity enjoyed by only a few. He has, under duress, seen the bunraku twice, hating it both times, finding the art form and the association that controls it hide-bound, fusty and inappropriate for the times. and this and this and this. Business organizations, professional organizations and corporations have bought blocks of seats for the cultural advancement of their members and employees. "He's a sort of an Antonio Inoki* figure." "Oh, come on. How can you use such an old example? If you use that kind of relic as your illustration, you will make Hashimoto-san upset." "It is not an old-fashioned example...and who is this Hashimoto of whom you are speaking, anyway? At which the audience roars in approval. It is unlikely that the bunraku, begging as it is at Hashimoto Toru's doorstep, would dare include this bit of cheek in a performance in Osaka. But the puppets and their masters are in Tokyo, where no one (except, of course, the occasional decidedly odd Japan politics blogger) will make a big deal out of a brief stab at Osaka's uncouth and self-adoring leader***. Hence my reflexive thought of the Chinese proverb at the head of this post. Hashimoto Toru's war with the bunraku and the theater's bit of fun illuminates some darker facets of this election. Taking aim at an art form, one which puts Osaka on the map of world culture, shows Hashimoto's populism to be unfocused. Indeed, it is not populism at all. It is philistinism—a proud, even arrogant ignorance of culture and aesthetics. Such ignorance would be acceptable if it were not coupled with a will to power—a will that Hashimoto has in spades. The mating of the two elements results in Hashimoto's lashing out at everything he does not understand, no matter the actual significance of a particular item,. In action unbecoming, he uses the power of his tongue and office to crush whatever it is that has earned his ire on a particular day (tattoos on public workers, teachers who are not patriotic, public employees unions). Hashimoto's inability to sort enemies from annoyances—and react to each according to its rank of importance—marks him as unworthy of higher office. The great populist Koizumi Jun'ichiro, whose family origins are almost as rough as Hashimoto's, made sure to take on powerful entrenched interests. Hashimoto's tendency to go after butterflies with sledgehammers should disturb those who might otherwise be lulled into inattention by his mastery of the quip, the riposte and details of policy. That Hashimoto is a philistine is unremarkable. He is, after all, a self-made man of rough circumstances. He may ask, "What does traditional high culture have to do with me?" without transgression. One could go over with him the humble, outcast origins of great artistic traditions like the No theater...but one would first have to find a way around his defensiveness about his origins. What is remarkable in this campaign is that the main party leaders, with the bold exception of Ishihara Shintaro, all seem to be philistines. Ishihara has literature, Koizumi had Elvis Presley (and XJapan). However, for the majority of the political leaders currently clogging our airways and textual news, one would be hard-pressed to identify a single art either practiced or enjoyed by any them. The only art that interests them seems to be the art of politics, which either paradoxically or inevitably, considering their fastidious concentration on it, not one of them practices with any finesse. Expanding upon the paradox Okumura Jun noted in his exegesis on my post about the calligraphy of the leaders of the parties—that among those who profess to want to lead Japan back to its traditions are persons who are ignorant of them (Link)—the current crop of party leaders seem to want to be leaders of the Japanese people without taking joy in either being Japanese or people. It is possible that it is not so much Noda Yoshihiko's duplicity, Abe Shinzo's radical reactionary beliefs, Kada Yukiko's willingness to hold Ozawa Ichiro's hand, Fukushima Mizuho's girlishness, Yamaguchi Natsuo's Gumby hair, Watanabe Yoshimi's accepting of public money only to use it to support his habit of yelling of insults from the sidelines, Shii Kazuo's aggressive anti-fashion or the sheer preposterousness of the micro-party leaders that is driving the voters away. It is the absorption of the political leaders into the job of being political leaders, where earnestness masquerades as determination, which makes it so hard for the public to take a shine to any of the leaders or their parties. Hobbies and interests alone cannot save one, as Aso Taro's and Tanigaki Sadakazu's stints as Liberal Democratic Party president demonstrated. However, a lack of identifiable trivial pursuits shows a disrespect for the human—an unnatural woodenness, as it were. And no, Noda's noted fondness for alcohol does make the grade. *** That Osaka is seen as an uncultured pit of a city, particularly by Tokyo denizens, is another reason the joke can be inserted into the Tokyo performances. Any road 'll take you there. Looking at the polls and the candidate lists, the outlook for the ruling Democratic Party of Japan is gruesome. Not perhaps on the scale of the Kim Campbell-led Progressive Conservative Party implosion in Canada's 1993 federal election--but still threatening on a potentially existential level. Okumura Jun lays out some of the numbers predicting carnage (Link and Link). 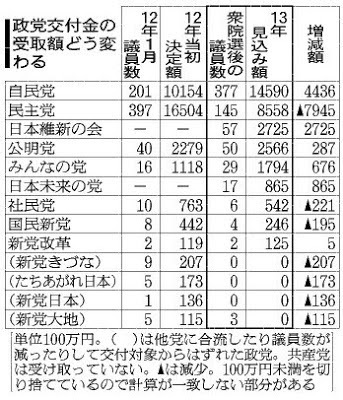 In stories appearing this morning, the Nihon Keizai Shimbun, based upon its own numbers, predicts the DPJ on a course to winning only aroung 80 seats (Link - teaser - J) while the Mainichi Shimbun, looking at the data from Kyodo, predicts the DPJ will win only around 70 seats (Link - J). The Nikkei, when it showed its projections to members of the DPJ, got responses like, "I had no idea they were this bad" and "This is different from the sense one gets from the situation on the ground." DPJ members should perhaps talk to U.S. Republican Party true believers about how reliable their senses of the reality on the ground were in the run up to November 4. The only rays of light for the DPJ are the undecided numbers. Kyodo finds 48% of its respondents have not yet decided which party they will vote for in the proportional list election, whilst 56% have not decided whom they will vote for in their district. The DPJ and prime minister Noda Yoshihiko have to hope that these voters, faced with the prospect of Abe Shinzo as a prime minister with an imagined mandate, decide that the DPJ is the least bad alternative. Otherwise, the DPJ is, as they would say in Paris, "foutu." I will probably never understand what Noda thought he was doing when he made his offer of dissolution on November 14. Deploying three SM-3 equipped Aegis destroyers is a wee bit of overkill. For a comparative, three SM-3 equipped Aegis destroyers would be sufficient to protect all of Europe. But a) you can never be too sure and b) it is election season. Later - The above will, of course, be supplemented by U.S. Navy anti-missile missile-bearing ships (Link). Suffice it to say that Japan and South Korea will be over-protected from a rocket (or pieces of thereof) attempting to lift a satellite or a dummy payload weighing as much as a nuclear device. A few days ago, in comments, I told a reader that it is perilous to think about the United States through the lens of Japan. I was thinking at the time about Matthew Yglesias' article in Slate on Liberal Democratic Party president Abe Shinzo's plan to spark consumption by sparking inflation by flooding the financial markets with cash (Link). The article, in which a compulsion to link may have supplanted a need to think, is actually about the U.S. Federal Reserve, with references to a theoretical Abe Shinzo living in an equally theoretical Japan. I have problems with economics articles offering simple answers to knotty problems without a single reference to work by a person versed in the behavior of the economic actors of the country in question. 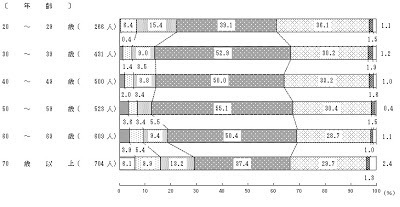 Without a reference to a set of statistics or a graph supporting the contentions. And without a mention as to what the tradeoffs are. Because there are always tradeoffs. A tip of the hat to Ourmani Nabiko for the the link. Great! Now What Does It Say?